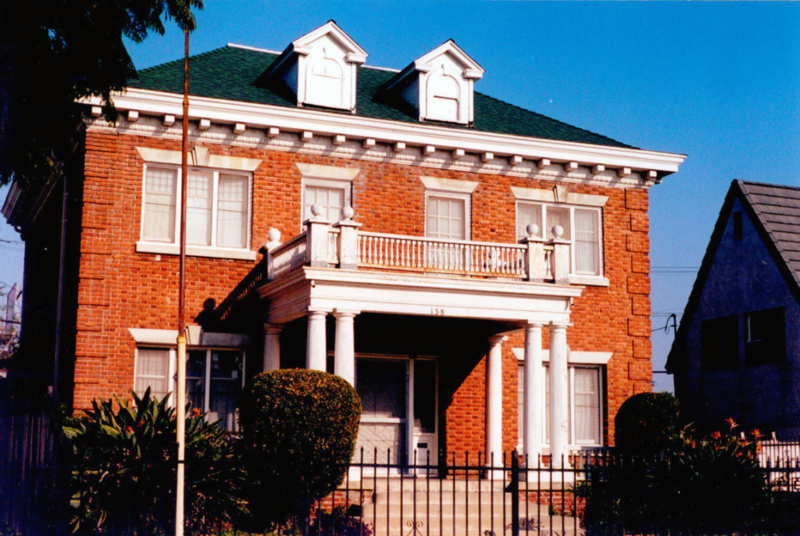 Edward J. Borgmeyer was a prominent theater architect in Los Angeles, who chose for his own home a Neo-Classical design that was reminiscent of the homes where he grew up in the East St. Louis area. The structure is of full masonry and has withstood many earthquakes with no damage. This was the Borgmeyer’s home from 1912, when Borgmeyer built it, until 1962.